​﻿​Each middle school team of up to 15 ​students prepares throughout the year to compete in Science Olympiad tournaments held on regional, state, and national levels. 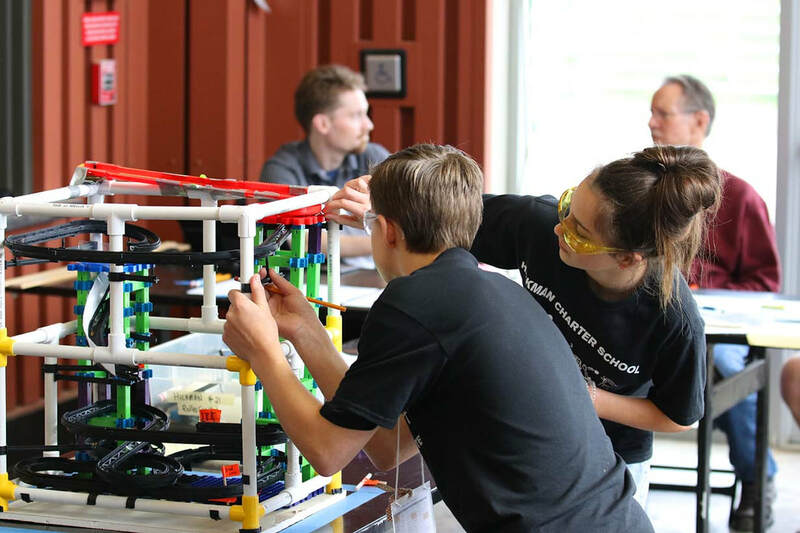 Participants partner up to compete in a variety of events which challenge students to design and build, conduct laboratory experiments, and study challenging science disciplines. 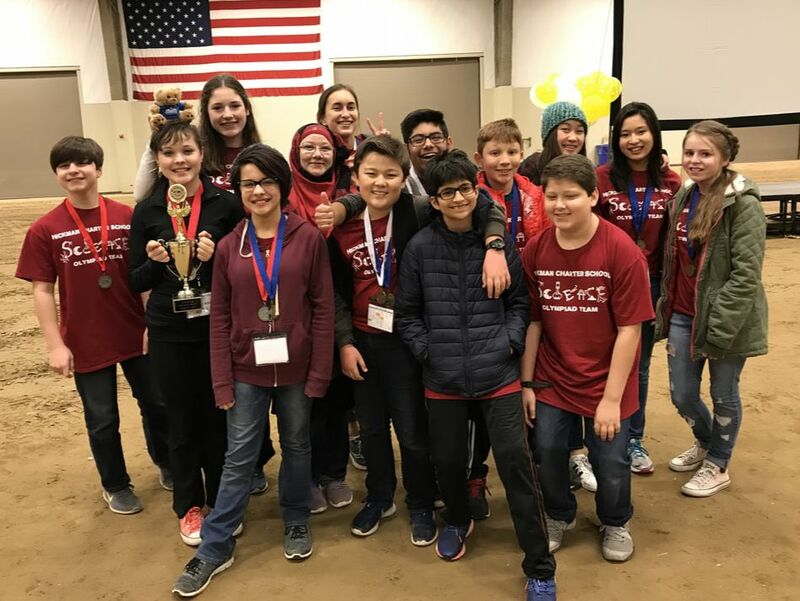 Hickman Charter’s team has won numerous Stanislaus Regional Competitions and our students have experienced great individual success at the State Finals. Science Olympiad offers a powerful opportunity for our parent educators to participate in raising the level of scientific awareness and academic achievement for their students while at the same time promoting cooperative learning and competitive team spirit! Fill out our Science Olympiad Interest Form! 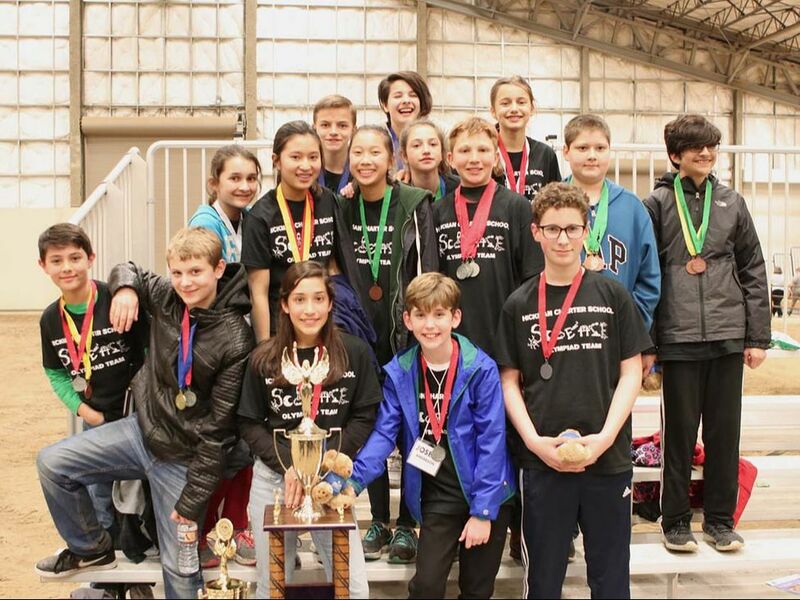 ​​ If you are interested in joining our Junior High Science Olympiad team, please contact your Education Coordinator and fill out our Interest Form!  ​ Hickman Charter School students and families make a yearlong commitment of time and energy to Science Olympiad - and the rewards of advancing students' knowledge and enthusiasm for the sciences are lifelong! HCS SciOly Coaches and teachers are assist in obtaining study materials and resources, providing practice space, and event coaching. Parents take on the responsibility of being the primary "event coaches" for their students. Event preparations including studying, building, practicing, and logging data take place throughout the school year, requiring coordination of face-to-face sessions with event partner(s) on and off campus. The combined efforts of HCS staff, students, and our valued parents combine for team success! 2019 Stanislaus Regional SciOly 1st Place Champs!